Last week, I got to David's for some quick prep time before the Tammy's came. 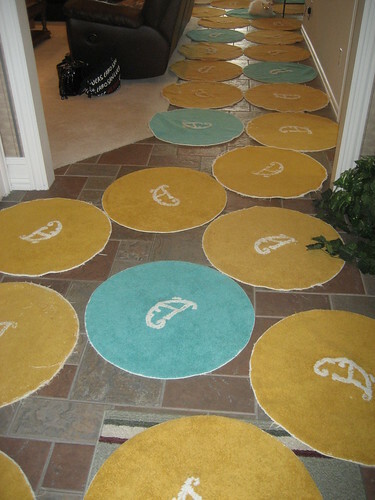 You know I had to rug the house just for fun! 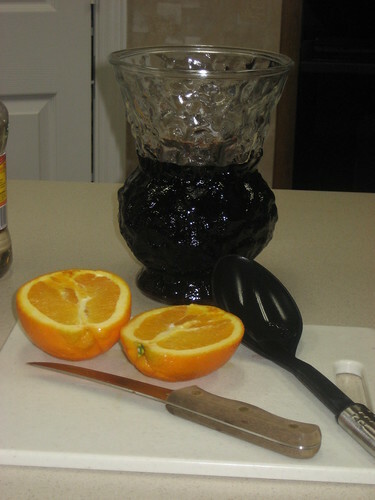 Tammy Missy showed up and we commenced to make a little Sangria. We couldn't find a glass pitcher, and you KNOW I am a glass snob, so we used a glass vase we found. It worked very nicely. The rest of The Tammys hit town and the party started. We, of course, enjoyed some spa time and then we came home to enjoy that Queenly Menu that I showed you all. 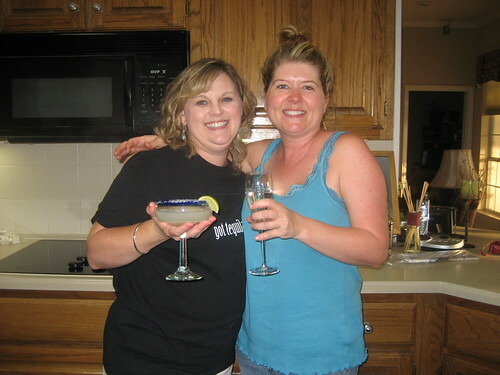 Tammy Brenda is enjoying her Pinky Champaigne and Tammy Missy is loving her salted Rita. Here is the shrimp dish that you heard about. I swear there is shrimp in there somewhere. 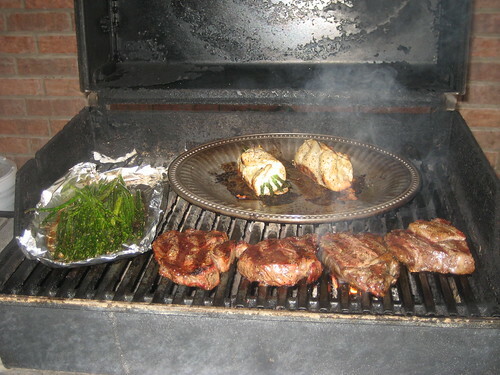 Check out this Wilton Armetale Grillware. I fell in absolute love with this amazing dish! Tammy Cindy actually laid the dish right on the grill. Would you look at what happened to the cheese? 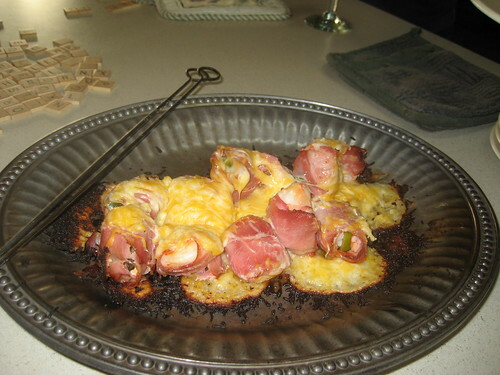 Holy melted, burned cheese YUM! Chef Tammy Cindy got after the grill like it was her very own. More melting burning cheese is oooozing out of that chicken. Can you say deee-lish? 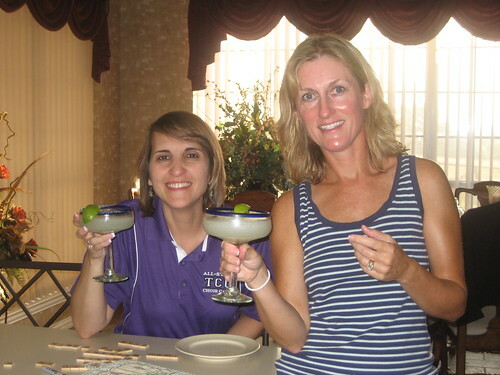 Tammy MaryJane and Tammy Cindy enjoyed their frozen Ritas. 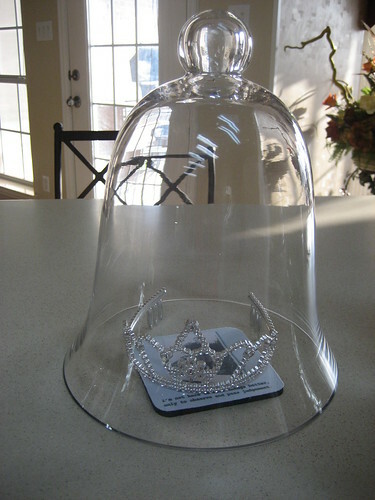 Ever wonder where crowns are kept? We kept ours under cloche, resting on our coasters that read, "I'm not here to make things better, only to observe and pass judgement." 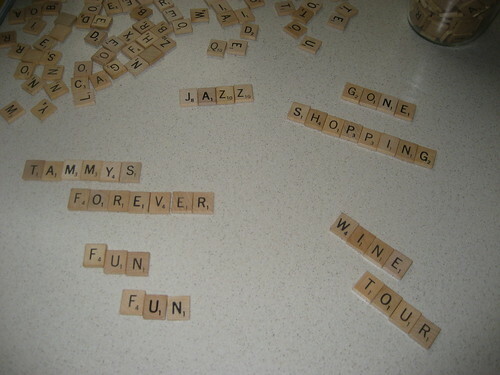 It simply would not be a Tammy weekend without our Scrabble tiles! We watched Tammy Brenda as she decorated a cake for an order she had to deliver Saturday morning. I will be posting about Brendal's Cakes in the very near future. 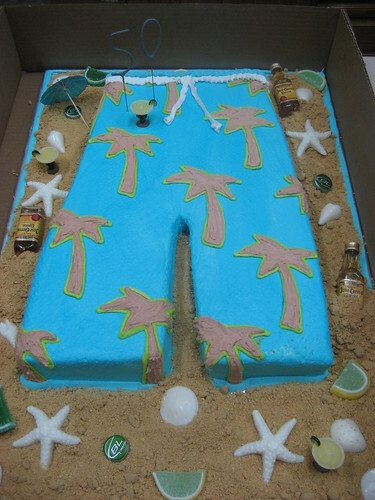 Would you check out this amazing cake? Tammy Brenda ROCKS! 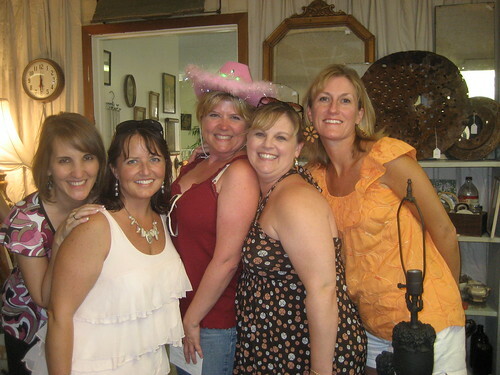 Saturday, The Tammys hit Malakoff for some Curious Goods shopping. Thanks for snapping the picture, Rhonda! After all that shopping, we were in need of refreshments so we headed to Tara Vinyard and Winery in Athens. There, we enjoyed some wine tasting, some steak eating, some wonderful, live jazz music listening and lots of star gazing. The night was beautiful! It was a wonderful time, our Tammy time. We are already talking about next year. I imagine we will find another place to gather next year and David won't have to get lost. 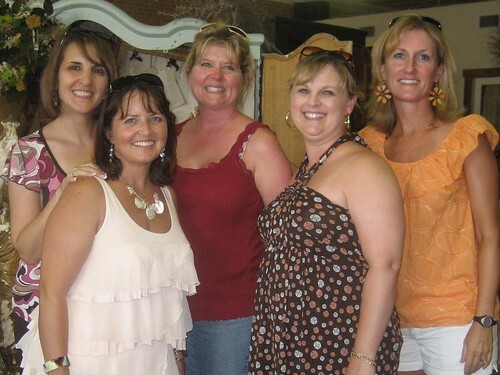 FYI, Sweet Pea is having a back room sale this Thurs/Fri/Saturday with 50% to 70% off. Wow! Bring your truck! Speaking of trucks, I have a truck full of junk. Maybe I'll snap and share one day this week, too. Are you aware that Warrenton is in less than 60 days? Theresa posted about that countdown yesterday. I have got to slow down on the blogging and pick up on the shopping! You know I'll be there selling, don't you? 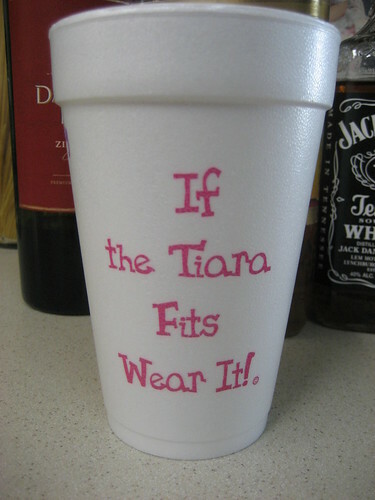 To be a Tammy...such fun! A kitchen that well appointed and no glass pitcher...shame, shame, David! Where was Brenda when I was trying to find someone to do my Poodle Cake? Looks like y'all had a SPQ good time (btw, are you a SPQ?). Looks like you had a blast!! 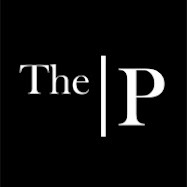 PS.. I broke one of the junky Commandments and painted OAK! Brought home the oak buffet from Jo's and painted Ralph lauren ebony! It is stunning.. come see me! Hope you have a great week!! Debbie, yes. We are SPQ's. We talk briefly each year of going to the St Paddy's Day Parade, but, it hasn't happened yet. Are you an SPQ? Valarie, you pretty much have GOT to ask forgiveness. Ralph might even be punished for being an accessory to the crime. ha! I loved that piece. I'm sure it looks lovely, even if you did damage it. *smile* Yup, next trip your way, I am giving you a holler! No, not yet, but I think she is a hoot! My kinda woman!!! Well, we're packing and getting things ready for Texas. Woohoooo, we're so excited. We want to try to leave here by 10 am tomorrow. 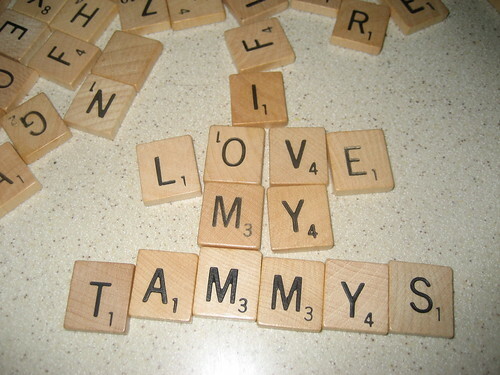 You and your TAMMY'S looked like you were having such a great week! How wonderful to have that long lasting friendship! 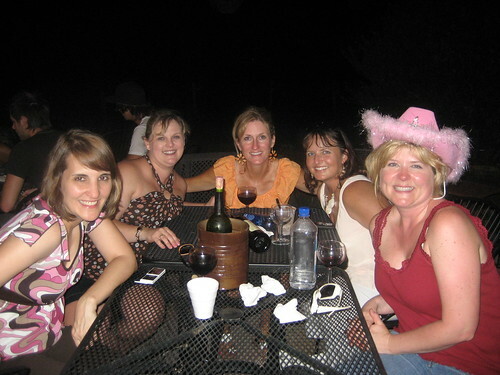 Your Tammy's look like they know how to have a good time together ~ How Wonderful!! !